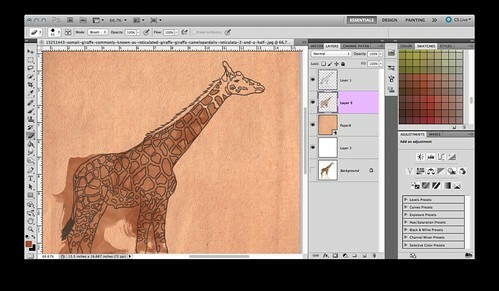 I found a picture of a giraffe online as a reference for my design. 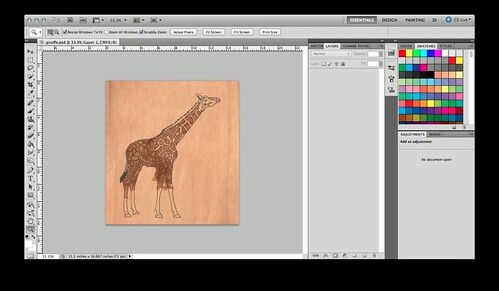 I used the brush tool with a pixel size of 3 and the opacity at around 58%. 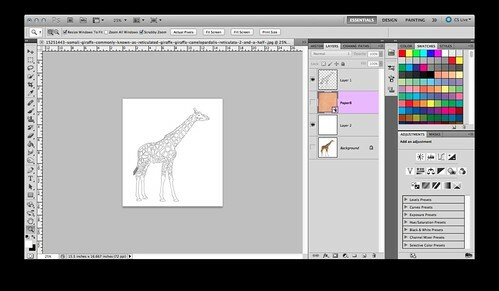 I outlined the basic shape of the giraffe. I then added a simple paper textured background. I really like a water color effect, so I used a water color brush to fill in the spots and his body. I created a new layer and painted entire giraffe, I then went in with the eraser tool and removed the brown from around the spots. 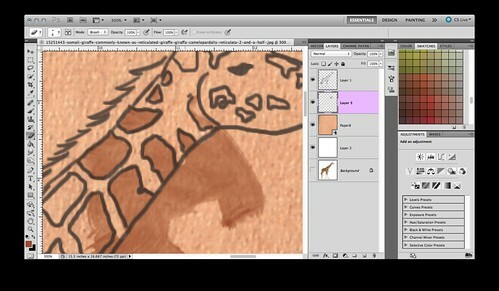 I then sampled the color of the skin from the main image, created a new later and painted that behind the spots. 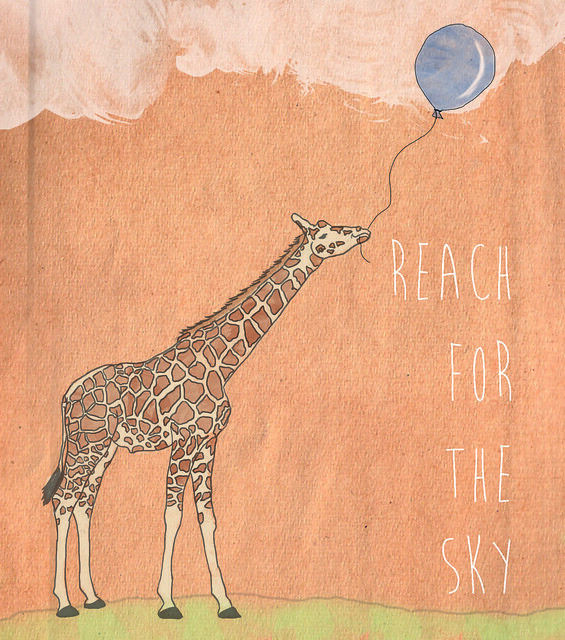 I then went in with the eraser and removed the extra color from around the giraffe. Next I drew a balloon on a new later, with a brush size of 2 pixels. I created a new later and added a blue color with an opacity of 51%. 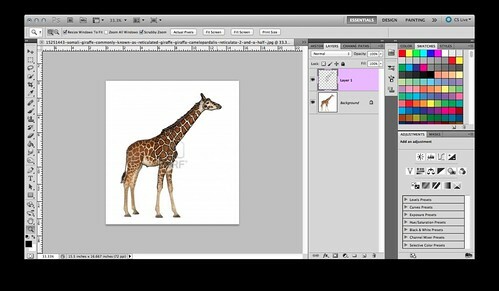 I went in with the eraser tool and removed the extra color from around the shape. 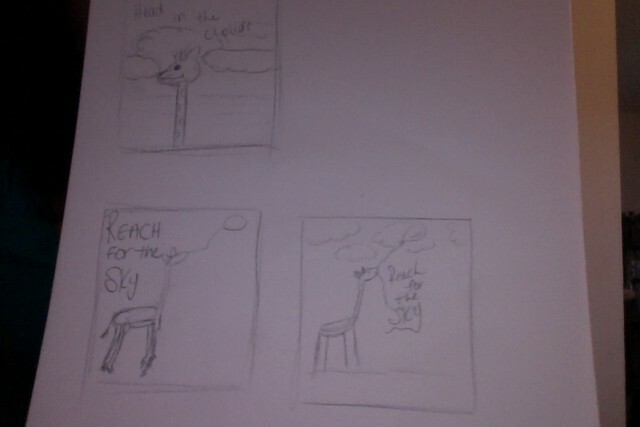 I then added text, justified to the right, clouds in the sky with an opacity of 52% and grass on the ground, because it looked like he was floating. here is the final. Hope you enjoyed it!